In a major relief to Delhi Chief Minister Arvind Kejriwal and AAP leader Kumar Vishwas, the Supreme Court today stayed the summons issued against them by a court in Uttar Pradesh and issued notice to the state government. A bench headed by Justice Jagdish Singh Khehar stayed the summons issued by the Sultanpur court to Kejriwal and Vishvas, who have been accused of violating prohibitory orders by holding an unscheduled roadside meeting while going to Amethi and thereby obstructing the movement of traffic. Kejriwal and Vishwas had knocked the doors of the apex court yesterday against the order of the Allahabad High Court refusing relief to them. 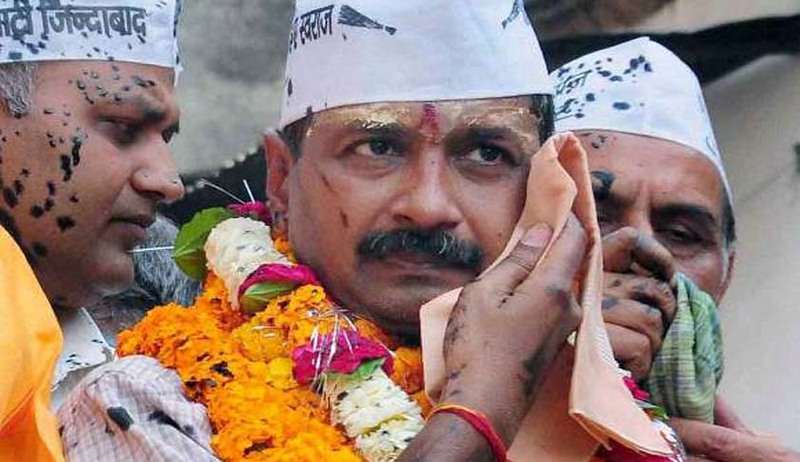 During the last Lok Sabha elections, an FIR was lodged by the assistant election officer on April 20, 2014, against Kejriwal and Vishwas under sections including 143 (punishment for unlawful assembly), 186 (obstructing public servant in discharge of public functions), 341 (wrongful restraint),353, 171G (false statement in connection with an election) of IPC. Their lawyer argued they had requisite permissions for a rally and there was no prohibitory order in force at the time of alleged offence. They had also told the court that the local administration and police had filed frivolous complaints against them to cause impediments in their election campaign in Gauriganj area of Amethi district. The charge sheet was filed on April 13, 2016 and on October 7, the court of additional chief judicial magistrate, Sultanpur, issued summons against them. The criminal case was instituted against them under Sections 143, 186, 188, 341, 353 and 171-G I.P.C., Police Station-Gauriganj, District-Sultanpur. Justice Aditya Nath Mittal of the Lucknow bench of the Allahabad HC had also dismissed the petition for dispensing with the personal attendance of the petitioners. The court held that as far as quashing the entire criminal proceedings is concerned, the power under Section 482 CrPC is to be exercised judiciously for limited purposes, for instance, to give effect to any order under the code, or to prevent abuse of process of any court or otherwise to secure ends of justice. The court observed in the current circumstance, ‘no substantial ground has been made out which may justify interference by this Court under Section 482 CrPC’. The case was filed by assistant election officer on April 20, 2014, against Kejriwal and Vishwas. It was alleged that the petitioners had not acquired proper permissions and caused inconvenience and traffic jams due to procession. The party workers also allegedly violated the code of conduct and used criminal force against public servants on duty.